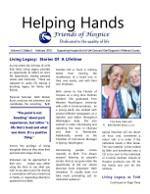 Caring and guidance at end-of-life. Death is a part of life. 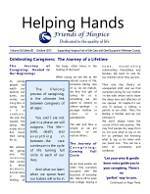 Read in this issue of new ways to approach the subject. 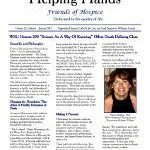 WSU professor Starla Meighan’s innovative Death Defining honors class and Death Cafe. You can find more information on the Death Cafe movement on deathcafe.com. Call 509-332-4414 for more information. Develop a living legacy through a facilitated recorded audio CD capturing the stories and memories as told by and through the hospice patient. 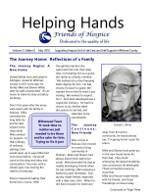 The May newsletter contains one family’s experience with Living Legacy. If you, or someone you know, would like more information about Living Legacy, please call 509-332-4414.